Umbrellas and the letter U. This is so sweet...it has NOTHING to do with our topic of the week of umbrella's, but I LOVE this. It is my favorite picture of the week. I think I love it so much, not ONLY because it is not only cutie pie pic of my little sweetie, but again, it shows SO much PURE joy in ALL their little faces. This is so close to my heart as I write. Preschool training, though important, is not THE most important part of these children's day with me. The first quote on my preschool website is my heart's desire, "Teach only love, for that is what you are." Dr. Becky Baily. The BEST "lesson" we can give ANY infant, baby, toddler, preschooler in a "school" setting is to love them and teach them to love. Once they have comfort in our loving, trusting relationship, everything else is so much easier. I have noticed, over time, that when I introduce a new teacher to the children, it takes them a while to get to a point where the children will listen and respond to them. Often these sweet, loving, new teachers will marvel at my ability to "get the children to listen." I carefully explain that the only difference is my bond with them and that, with patience and care, over time, they will also have the same relationship with the children and will be able to "get them to listen" too. This is true. I have no magic fairy dust. I have times when I am not my shiny "Mary Poppins" best. But, even on the more challenging days, our love for one another gets us successfully through another fun, educational and heart filled day. Once you have a child's trust, that bond carries them through their temper tantrums, challenges, disappointments and difficulties knowing that we are all in it together. There is a good article regarding this, Fostering Attachment In The Childcare Setting For Infants And Toddlers. This explains why caring, regular and bonding relationships are vital to a child's social/ emotional development. Another great article Promoting Childrens' Social and Emotional Development Through Preschool Education goes on to explain that as many as 20% of children entering Kindergarten do not have the necessary social/emotional skills to be successful in the classroom and it could be as high as 50% for "at risk" children. This is SIGNIFICANT! When a teacher spends the school day managing emotions instead of educating, everyone falls behind. This isn't so bad for a Kindergarten teacher. They expect it. But now, think about a 3rd grade teacher, or a 6th grade teacher, that has students in her/his classroom that have failed to learn impulse control or problem solving skills and the problem becomes detremental to learning of 15-20 other children on a daily basis. During our letter U discussions we learned that the letter U makes the short "u" sound as in "umbrella," "under," and "up." We used this throughout the week in our lessons. We made this sweet little book for each child to take home. First we cut out our letters, umbrellas, a staircase and a sea-turtle in the deep blue sea "under" the water. We glued each picture onto its page as we discussed and emphasized the beginning sound of each word. Once folded it made a simple four page book that was fun for our children to read at school and take home to read with and to their families. We practiced recognizing the letter "U" on each page too. Along with this we were able to play lots of games to emphasize up and down, under and over opposites. We would place objects over and under tables, our hands, books, etc., all throughout the week as we would ask the children questions to help them understand the opposites and placement of object while building vocabulary. "Is the ball under or over the table." "Is my hand going up or down?" "Are my fingers walking up or down the stairs?" "Can your fingers walk up the stairs?" "Can your sea turtle swim under or over the sea?" I think you get the picture. One of the great things about being with our children each day is that there are SO many teachable moments to express the meaning of language and build language skills. This happens so organically through conversation. "Is the bird flying up or down?" "Is the ant climbing over or under the rock?" Once you recognize that learning happens ALL around a child each and every day, you begin to understand your role in aiding their learning and how important it is to be present...REALLY present physically, emotionally, and mentally throughout their play. Teachable moments happen in an instance and capturing those takes a PRESENT adult. When we give our children and the children under our care our full attention they know it, they FEEL connected, accepted and loved and, in turn, we can FEEL their willingness to learn from us increase, as our bonds with them increase. This is a tracing pre-writing practice sheet we did together. This comes from www.kidssoup.com, a website I use pretty frequently for theme ideas, printables, etc. You have heard me mention "play based" learning fairly frequently in my posts. I do believe this is VERY vital to pre-k readiness, happiness and long-term academic and social/emotional success for young children. In my numerous trainings, research, reading, trainings, etc., there is a HUGE movement to eliminate all things that even look like a "worksheet" from the early learning classroom. The "school of thought" is that this is not appropriate for educating young children and that it can even stunt their growth by forcing them to memorize in ways that their little brains are not yet ready for. There is a very good article written about this The Worksheet Dilemma; The Benefits of Play-Based Curricula. Though I do agree with much that is in this article and, as ALL my preschool families are very aware as you read through the aforementioned article, we provide the children here with every experience listed in this article (which will also tell you that you made a GREAT decision enrolling your children with us) ::)). Though as unpopular as my following statement will be with many of my colleagues, I do beleive there is a place for worksheets in a WELL-balanced preschool curricula. First, and my strongest belief, as I have seen it first hand myself, is that worksheets, when simply given as another experience and play choice, can and do allow for children who desire to learn to write at an earlier age or simply mimic what they see their older siblings, mom and dad and family members doing, another outlet for this that is a source of encouragement to them, not stress. As an experienced teacher I know NOT to comment on a child's work with an opinion. I have been trained to ask the child to "tell me about it..." and to allow that child the opportunity to express their opinion and to re-experience how they felt when they were creating it originally to me. I have also seen worksheets as a means of connection for a child and parent. The parent has a basis, including the arts and crafts, paintings, drawings, etc. done throughout the day to discuss with their child. A WAY to begin nightly conversations to open communication with their child to discuss the child's day. This connection that leads to conversation about a child's day is SO important! It communicates to the child, "I love you and I care what you did today...Tell me about it!" These papers can help this when, like all things pre-k, they are used as another play choice in a BALANCED pre-k curricula. We also made umbrella mobiles. Pictured above is the progress of each step. First we cut paper plates in half and made opposing slits in each so when slid together they would be 3-d. We started by allowing each child to choose any/ or all the paint colors they wanted to use with their umbrella and we painted. Some of the children also chose to glitter theirs and then we glued strips of paper for the raindrops and sunshine. During this we also ran the sprinkler outside on a VERY sunny day and watched as it formed a BIG rainbow in our play yard. The children were THRILLED! This really drove home the lessons from our "R" rainbows week a few weeks ago. We again discussed the shape of a raindrop and how a rainbow is formed. Once complete we also sang our Rain, Rain Go Away chant. We changed the words so I will list it again below. The children squealed and awed at our "homemade" rainbow! We also played our counting practice game of "Hide and Go Seek" each day during our outdoor playtimes. We counted 1-5, 1-10, 1-20, 1-30 and 1-50! On our umbrella theme we also practiced counting umbrellas, matching umbrellas and had many discussions around when we can use umbrellas. We discussed what sizes umbrellas are that we use for the beach and for the rain and observed that beach umbrellas are very big, while most rain umbrellas are small. We cut out and played an umbrella numbers, matching and counting game that we sent home with each child as well. This had umbrellas of different colors and shapes, 1-10 with the same numbered umbrellas cut out of construction paper to match. The children had a wonderful week of umbrellas and we will post all of our "V" VOLCANO fun and activities shortly! If you are one of our pre-k teacher friends, or homeschool followers...please feel free to download and utilize the below pdf files for teaching your little ones! Exuberant play...this is one of my favorite things. It doesn't matter how little our little ones are, they LOVE get their bitty hands on the squishy stuff! This week as we began our study on the letter T and turtles, we got out our especially green and brown playdough and began smushing, smashing and molding it into turtles. This little man was particularly into his play this morning and luckily I was able to capture his excitement. We use playdough on a daily basis as one of our "free play" choices. It calms the agitated child, excites (as above) the interested child and is a GREAT teaching tool. We use it to make animals, bowls, snakes, turtles, letters, numbers, pies, finger/thumb/ and footprints, shapes...I think you get the idea. Its great for fine and large motor development, creativity, sequence games, matching, size and pattern differentiation, adding and subtracting, fractions, learning to use knives, scissors, forks and spoons, spatulas and tongs. The possibilities are ENDLESS for this simple concoction of fun. I make it with the below recipe and it turns out great. You can add any color of food coloring or combinations to make it rainbow dough. I add spice in the winter months to make "gingerbread" cookies, citrus (imitation flavoring) in the spring to make "fruit" and all types of glitter, sequins and small "hide and seek" items. Playdough is currency in preschool land and we are RICH with it! Cook over low heat constantly stirring as it forms into a ball. Add flavorings and colorings during the mixing process. Keep in an air tight bowl or ziplock baggie for freshess. The letter T playdough "play." She did this all by herself after watching one of the older ones attempt it. During birthday celebrations we do our BEST to make all our own decorations, hats, cupcakes, streamers, etc. These crafts make our parties extra special as everyone gets to take home and show off their party creations. Of course, not everything is homemade...as you can see by the Minnie Mouse banner on the door. Having a group of mostly girls now, all of my previous decor is obsolete. In previous years I have had groups of boys...its funny how it seems to always go in cycles like that. Except, of course, for our little mister. That little fella' gets ALL the little mommas' love ALL THE TIME! Want some fun...two ingredients...water and dirt (oh yes, and children!!)! Thankfully God made all these children washable! And so...you may be asking yourself, "Why on EARTH would I take my child to a preschool so they can just make mud??? Well, actually there is an excellent answer for this. Most parents these days do not allow their children to go outside and do this. 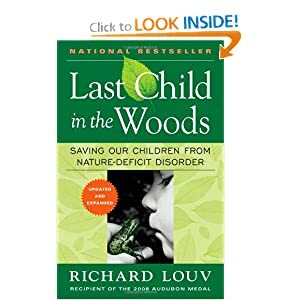 There is a great book on the topic, "The Last Child in the Woods," by Richard Louv discusses the disconnect of our children in their technological world and the "real" world all around them. "The Postmodern notion that reality is only a construct - that we are what we program - suggests limitless human possibilities; but as the young spend less and less of their lives in natural surroundings, their senses narrow physiologically and phsychologically, and this reduces the richness of the human experience." Richard Louv. He, and other Early Childhood experts suggest that their is a very close correlation between children not having meaningful natural outdoor experiences and the increase in childhood disorders like ADD and ADHD and many others. So...if a little mud is what it takes, I am happy to oblige! For our letter "T" week we thought talking about turtles would be FUN! My children all love animals, as I am certain yours do too, and ANYTHING animal is always a BLAsT! We began our week making little brown turtles with green legs. We discussed that turtles have four legs (we mainly stuck to discussions about land turtles), tall, hard shells and that they carry their homes on their backs ALL the time. This was an adorable week. We also got out boxes (hard shell) and practiced carrying those on our backs (great large muscle and balancing play). After a very short time they were IN the boxes too. SO, we also discussed how turtles (and why) they will tuck their soft little legs and head into their shells. We only had a couple of appropriately sized boxes and also had to share...though this proves a challenge it was also great "sharing" practice. This was also a good opportunity for social/emotional topics like "How do you feel when you are afraid? ", "What do you do when you are scared? ", "Do you hide in a blankie, like a turtle in his shell?" We had lots of "talk" time about this and we DID decide that hiding in a blankie is far more comfortable than hiding in a box, like a turtle. We talked about turtle names, like the "box turtle and "sea turtle." We also discussed that some turtles have flippers and swim in the ocean. We learned that the ocean turtles are VERY fast, but that the land turtles are slow. We also learned that land turtles have tall shells, while sea turtles have flat shells. This too was a great chance too compare and contrast sizes. These are the finished product of our turtle mosiacs. First we started with brown circles, added green oval legs and a tear drop shaped head. Then we added triangle, semi-circle and diamond shapes of various colors to their turtle backs. The different developmental stages are so fun to watch in projects like these. The one's placed just one or two shapes on the backs, then scrunched and crumpled the turtles, tore off their legs and ended up having their little paper fella's repaired several times. The two's, in proper two year old fashion, piled glue (LOTS) on their turtles backs and dumped LOTS of shapes in a pile atop the glue. The three's and up took their time, thinking about, planning and carefully placing each little piece on their turtle. Sometimes they would quickly pick up a shape and replace it with another or ask to start over with a new plan. This was MY personal favorite craft this week. First we all went on a "turtle shell" hunt. We looked at LOTS of rocks as we talked about sizes and shapes of each rock. We discussed that rocks are very hard, like a turtle shell and we picked out just the right ones. We again cut out brown felt circles, little green oval legs and green circle felt faces. We glued these all together and added a smile with googley eyes. The children LOVE anything that has googley eyes!!! They all kept their little "pets" close by throughout the day and proudly displayed them to their moms and dads at pick up. This craft was a KEEPER! Last, but not least...I think THIER favorite craft was the turtle counting train. We cut out an engine and many train cars and placed turtles on each car. We counted our turtles from 1-3 for the one year olds, 1-5 for the twos and 1-10 for the older ones. Even our two year olds can count to thrity, BUT placing numbers, in order, from left to right, is a much more advanced skill than simply counting. Its a developmental milestone and there are three different types of numbers we teach simply by "talking" to our children. They are cardinal, ordinal and nominal numbers. For an easy explanation see this site. We are teaching, teaching, teaching with every set of 10 crackers we count out, every game of Hide and Seek, even when you are counting 1, 2, 2 and 1/2, 3! :)).. Every moment is a teachable moment in toddler/preschool world. I am priviledged to be a small part of it.